Life insurance in advanced economies will return to growth this year as sales in the U.S. reverse a contraction. Life insurance in advanced economies will return to growth. (Bloomberg) – Life insurance in advanced economies will return to growth this year as sales in the U.S. reverse a contraction, spurring returns for providers, said Swiss Re Ltd., the world’s second-biggest reinsurer. 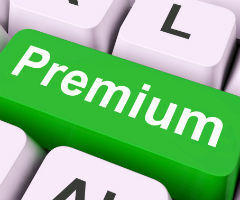 Life policy premiums in developed economies fell 0.2 percent to $2.2 trillion in 2013, led by a 7.7 percent slide in the U.S. That crimped growth in the wider insurance industry to 1.4 percent from 2.5 percent in 2012, Swiss Re said in an emailed report published from Zurich today. Slow recovery in the U.S. and other advanced economies from a financial crisis that erupted in 2008 has hampered sales growth for insurers. The strengthening global economy is also expected to support non-life insurance, with total industry premiums seen increasing this year from $4.64 trillion in 2013, Swiss Re said. Insurance premiums in emerging markets climbed 7.4 percent to $788 billion last year, with life policies increasing at a slower 6.4 percent pace to $408 billion, according to the report. “China and India in particular should see a return to higher growth rates” in life insurance, Swiss Re said. The global economy may expand 2.7 percent this year and 3.1 percent in 2015, faster than 2.1 percent growth seen in 2013, according to economists’ estimates on Bloomberg. Asia is forecast to grow 6.1 percent in 2014, almost four times the 1.6 percent pace in Europe. The U.S. may expand 2.2 percent. Non-life premiums, such as car and household insurance, grew 2.3 percent last year to $2.03 trillion, with sales in emerging markets surging 8.3 percent to $380 billion. The Chinese market expanded 16 percent to $126 billion, Swiss Re said. Gains for the Bloomberg Europe 500 Insurance Index of 22 percent over the past 12 months have lagged behind an increase of 23 percent for the Bloomberg Europe 500 Banks & Financial Services Index.